Made In Louise is a boutique guesthouse located in Brussel's Art Nouveau district, with 48 rooms stacked over the six-storey property. This family business is run by (Duchateau family) brother and sister duo Mélanie and Martin, with the interior design expertise from their mom, who in 2012 spruced up this historic 18th-century building into a modern accommodation. 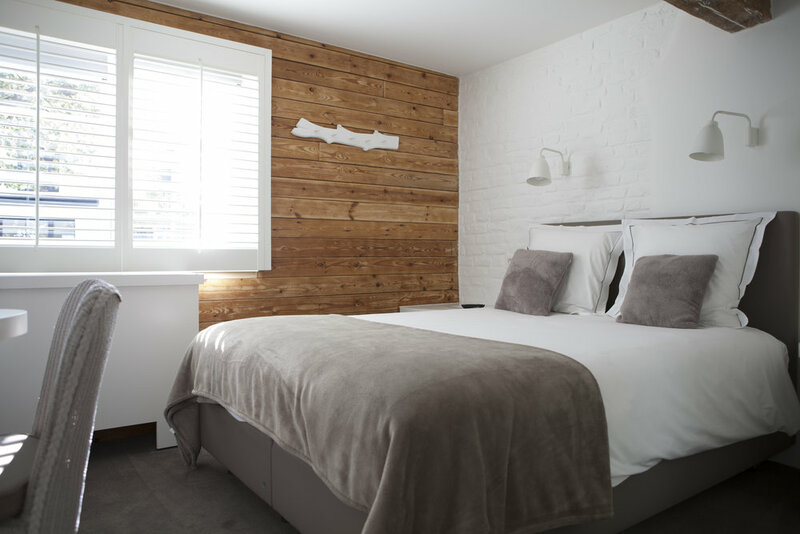 With a keen eye for fine details, each of the rooms has their own individual character with; some simple yet chic, flanked with wooden beamed walls, whilst others have a slightly rustic style. Made In Louise historic charm blooms across the property, with added modern quirks such as neutral colour contrasts with bold wallpapers and peculiar home decors. Approaching the reception area, the building's modest entry opens into a perfectly lovely space with a fireplace, billboard room, business centre and other additions that make this place ideal for both business and leisure guests. With hospitality at the forefront of the business, the property's staff are amicable and can help with guests demands. You can count on the staff's cheerful hospitality for tips on a day out in the city. 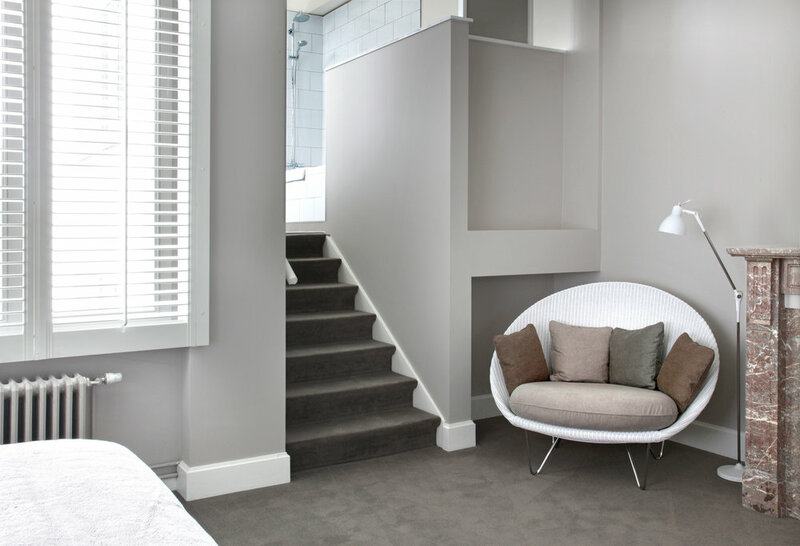 With a choice of rooms overlooking the impressive courtyard or quiet street, Made In Louise provides the easy rest that you need before venturing into the city. For sheer comfort, there are a number of chill-out areas in the property; a fireplace in the lounge area, the leafy courtyard with giant chess pieces, a billiard room to play with friends or family, and Belgian craft beers at the Made in Bar. If you can't be bothered to go out to eat on a long day, Made In Louise has an in-room guide with the best restaurant deliveries in the city. This can be delivered to you directly in your room or at the hotel bar. Breakfast has impressed us with a great selection of appetising options such as homemade waffles and pancakes, scrambled eggs with toasts, different cheeses, fruit bowls and other delights. The buffet breakfast is served in the bright loggia overlooking the courtyard, with the morning sun denoting in the room. On weekdays brekkie is served from 7 am to 10 am and weekends from 8 am to 11 am. If you get hungry later on during the day, the 24-hour snack bar on the ground floor has numerous sweet and salty snacks. Tempted to discover the city by bike? They offer free Villo! cards to borrow shared bikes in Brussels. With this option to have the opportunity to explore the city from a different viewpoint and will get the luxury to use the city's well-connected bike lanes. 2 executive rooms for triple occupancy and an option to add a baby cot free of charge. There is one room adapted for guests with restricted mobility, please be aware that the hotel is not fully wheelchair-accessible as there can be steps. To learn more about what is around the area, see Made In Louise's lovingly curated online neighbourhood guide here. Location - 11.7 kilometres from Brussels airport. 5-minute walk from Metro Louise. 15-minute walk from the European Parliament. Tips - Visit Arket, a concept store with quality clothing and accessories for men, women and children, and a selection of homeware and stationery items. Go to Le Dillens, a hipster bar that serves natural wines from Titulus, Belgian cheese and worldly food.